Webtron is proud to be a sponsor for the Caulfield Bears Football and Netball Club. We are a locally owned and operated business, and have designed professional websites for many successful business Australia-wide since 2007, including this one. We specialise in all things web, including web-design, development, e-commerce sites, and hosting. Our web-based solutions are always customer and sales driven, to help your business thrive online. 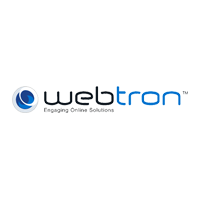 If you’re looking for a business-minded approach to promoting your business online, look no further than Webtron. Contact Webtron’s director Alex Hill on 0423 647 722.